Synopsis: A look at the Mavericks power forward and his relationship with his basketball mentor. Anyone who follows the NBA in Texas knows Dirk Nowitzki. Actually, anyone who follows NBA at all knows Dirk. Dirk is a local legend. He's a seemingly all-around nice guy plucked from obscurity in Germany to come and play for the Dallas Mavericks in 1998. 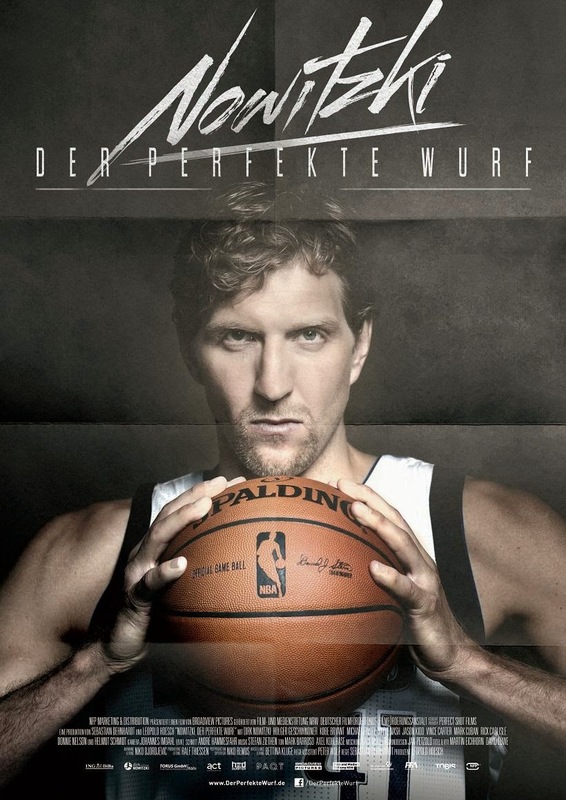 In Nowitzki: The Perfect Shot, director Sebastian Dehnhardt follows Dirk through his career and how his relationship with his mentor, Holger Geschwindner, shaped Dirk into the player he is today. When you hear about a sports documentary nowadays, my thoughts go immediately to ESPN's 30 for 30 series. A fantastic series which covers a myriad of sports teams/people, and some of these are as great as any feature documentary out there. While this documentary doesn't quite live up be a great film, it's good enough for any Dirk or Mavs fan to appreciate. Holger is quite a character himself. He not only knows the sport inside and out, but he studies math and computer science to develop different techniques to help Dirk put something new in his "bag of tricks" each year. For example, if you figure out and practice the perfect angle and speed to throw a free-throw, then you'll make it almost every time. Boom, science. Dirk comes across just as likable and humble as you would expect him to be. He never blinks or is taken aback when someone wants to come up to him or ask for an autograph. If anything, he feels he doesn't deserve the recognition since there are many other players he feels that are better than him. He also works very, very hard and is very, very hard on himself when he messes up. And it's evident when others talk about him and his dedication to the sport. If you followed the Mavs in the 90's, they almost couldn't give tickets away because the team was so bad. But when Mark Cuban bought the team and gave his players a chance to flourish, Dirk stepped up. He became somewhat the heart of the team that everyone relied on and he's now THE guy that everyone looks forward to see. The film itself doesn't quite pack the punch as it could have. In the end, it just re-tells the Mavs history as a team once Dirk arrived, but never really added any extra depth to the story. If you've been around Dallas, you know what happens. And if you don't know what happens, the film doesn't build any tension like other sports documentaries do. When it relives the Mavericks run as NBA champions a few years ago, a bit of nostalgia was there since I remember watching that whole playoffs, but an outsider wouldn't necessarily feel as invested. For Dallas fans, this documentary is a love letter to one of its favorite sports stars. A down-to-Earth guy who just happen to make it big in a sport he loves. This film doesn't break any new grounds for sports documentaries, and you'll find better made films in the 30 for 30 series. However, it definitely cares about its subject, which is really all you can ask for.